Kumtor Gold Company is committed to the overall development of the region it operates. The company has been doing for years its utmost to become a reliable partner of local communities. Our constructive cooperation is the key to the current successful operation of the company. We see it as very important that by the end of operation in 2026 every project or initiative now supported by Kumtor can become independent, viable and beneficial to local budgets and communities. The three-year Karagat Plus Project was launched in the Issyk-Kul Region in 2013. Any Issyk-Kul resident is free to join its extensive network where experts provide every possible aid in building a system of greenhouses, nursery gardens and farming products reception points across the region. 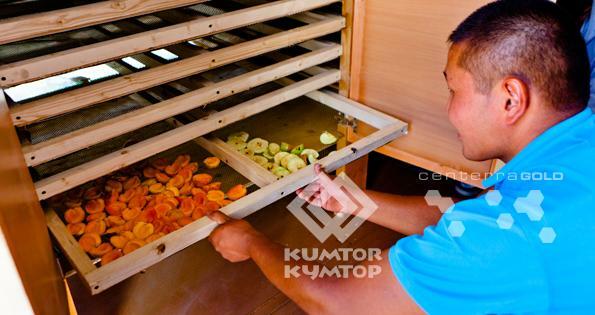 During trainings, AVEP experts, who work in partnership with Kumtor Company, instructed farmers in technologies of growing new heavy-productive varieties of berries that resist cold, in methods of storing fruit and berries, and innovative irrigation techniques. During the first phase trainings, specially retained experts explained how to improve marketing channels and increase revenues. The farmers were enabled to solidify and put to practical use their new skills in negotiation methods and marketing strategies during an annual festival that became a sort of forum for sharing experience and building additional marketing channels. The Issyk-Kulers proved to be capable students as they could close contracts for delivery of 50 tonnes of fruit and berries abroad. 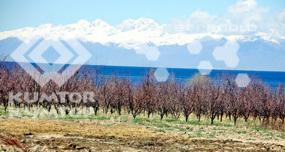 Farming is an extremely important aspect of the economy and well-being of every family in the Issyk-Kul region. The company is well aware of the role the agricultural sector plays in the lives of local communities and has supported local farmers for years by teaching new technologies and innovative methods of irrigation. The company’s consultants teach farmers to build hothouses and grow various crops. Through the company’s initiatives, local residents have learned more about the effectiveness of solar batteries that are now being used to activate water pumps as well as in the dried fruit project. Six 20-tonne containers reequipped for fruit recycling needs can now be used for dried fruit production. The system is absolutely autonomous as it uses solar energy. Raising effectiveness and profitability of farming where the majority of the local population is engaged remains among the key areas where the company invests. Annually, the company supports various irrigation rebuilding projects designed to stop degradation and provide access to water. The company retains local contractors and employs the mine’s equipment for carrying out earthwork. This program includes clearing of ditches, water reservoirs and daily runoff ponds to provide irrigation water to Jety-Ogu and Ton districts. The microcrediting program for farmer and minor producers in the region was started in 2006 and is aimed at boosting the social and economic development of the Issyk-Kul region. Three microcrediting agencies have been created with the support of the Company to provide small loans at an interest rate of 10% to 12%, the lowest in Kyrgyzstan. The company has invested more than US $3,910,000 in the microcrediting activities since 2006. This program enables any Issyk-Kul resident to get easy-term credits to expand their farms or livestock businesses or create and sustain small and medium-sized businesses. Since 2015, farmers interested in the building of hothouses and depots are allowed to submit their loan applications. The project “Youth Banks of the Issyk-Kul region” was launched in 2013. The company’s contribution is estimated at approximately $300,000. The practical issues relating to the implementation of the project are dealt with by Eurasia Foundation of Central Asia. The Youth Banks are designed to address social problems faced by young people and promote such values as civic activity and personal responsibility. Youth Bank members are supposed to examine local needs, consider proposals made by young people, select and fund priority projects. Any Youth Bank composed of 8 to 10 volunteers functions as a local small grant board. All young people aged 14 to 25 who have challenging ideas with regard to communities development are free to join the project. Initiatives may focus on infrastructure improvement, professional training or job-creating programs as well as organization of cultural, sports and other public events. Providing support to rural young people is among the Company’s top priorities. Over the past 14 years, the Company has supported the scholarship system designed to provide education in Bishkek’s vocational schools to high school graduates from Jety-Oguz and Ton districts as well as the city of Balykchi. Boys and girls are enabled to learn trades as heavy-duty truck and car mechanics, automotive electricians, welders or cooks. In choosing scholarship holders, priority is given to children from families with many children, indigent families or orphaned children who show high academic record and wish to get vocational training. All training, lodging and meal costs are borne by the Company throughout the three years of the training period. Able students can improve the skills they acquired at vocational schools in practical work at the mine as trainees. Under the program, approximately 65% of former scholarship holders are employed by the Kumtor mine. In 2013, the Company invested about US $50,000 in this training program for young people from rural communities. The Company gives much attention to the development of the intellectual potential of Issyk-Kul young people and supports, in any possible way, initiatives designed to provide training to high school and university students. Over the past decade, the health resort Edelweiss at Chon-Jargylchak has been the venue for an environmental summer camp organized for children from indigent families. More than 300 boys and girls spent their holidays and acquired new knowledge there in the past ten years. Another comprehensive program, Jashyl Oi, targets students and young specialists interested in green matters. It includes two sessions in a tourist camp located at the Issyk-Kul coast and holding an international forum attended by experts from CIS and other foreign countries to discuss environmental matters. Two felt production facilities opened in Tamga and Tilekmat villages of Jeti-Oguz District on February 27, 2019. Production facilities were launched as part of the local community empowerment project, implemented jointly with the ‘One Village One Product’ Association (OVOP) and funded by Kumtor Gold Company (KGC). Futsal fields, built with the financial support of Kumtor Gold Company (KGC), were officially inaugurated in the villages of Saruu and Tosor, Jety-Oguz district, on September 15-16, 2018. 10 business projects have been supported as part of the joint initiative run by Kumtor Gold Company and non-governmental foundation ‘FSDS’ (Fair and Sustainable Development Solutions). 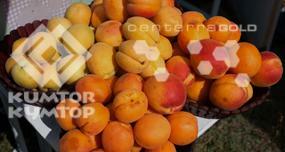 The third annual apricot festival ‘Oruk Fest-2018’ took place at Ak-Terek village of Jeti-Oguz region, Issyk-Kul oblast, on July 28, 2018. 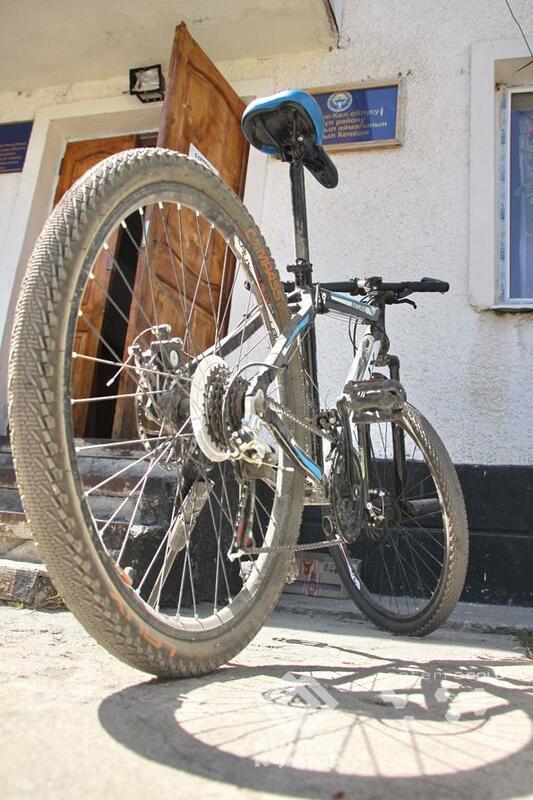 Konkino village of Jeti-Oguz region of Issyk-Kul oblast got access to drinking water.